Duck duck goose: 1.) a delightful children’s pastime. 2.) 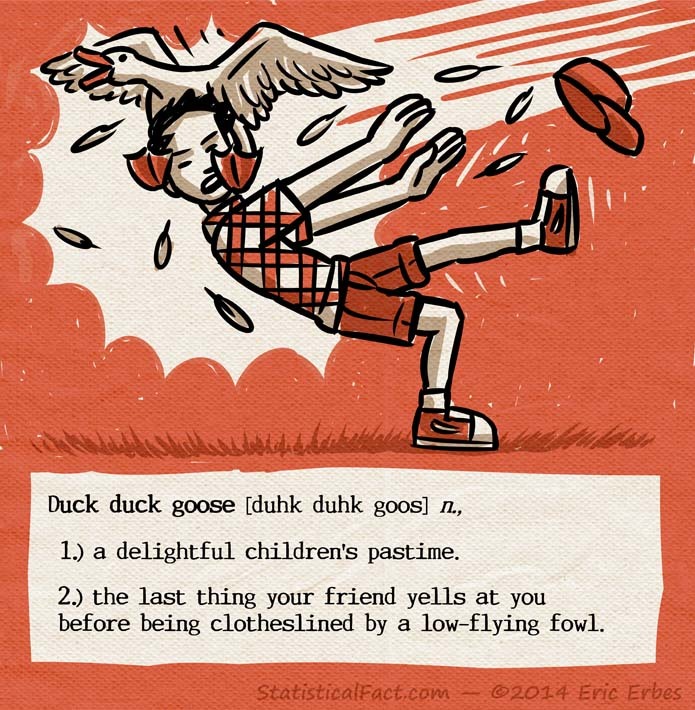 the last thing your friend yells at you before being clotheslined by a low-flying fowl.